Clearing your cookies and other internet cache items is a regular step in keeping your computer and internet running smoothly. 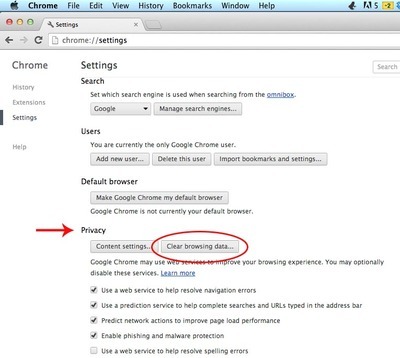 In this tutorial, you will learn how to clear cookies if you use Goggle Chrome as your web browser on an Apple computer. 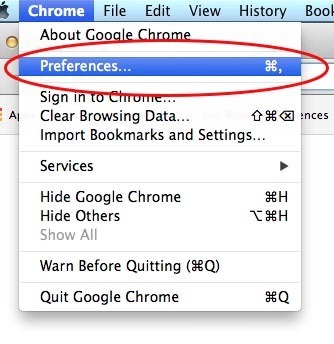 Click on Chrome located on the top left corner of your screen, and then go to Preferences. 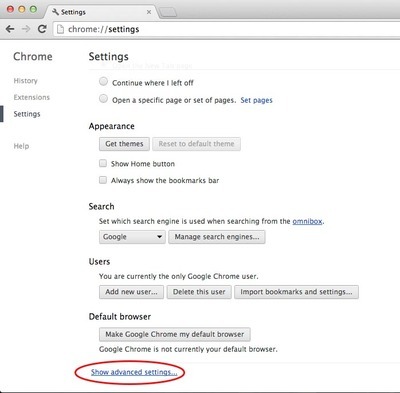 A new webpage will open up, allowing you to access all of Chrome’s settings. 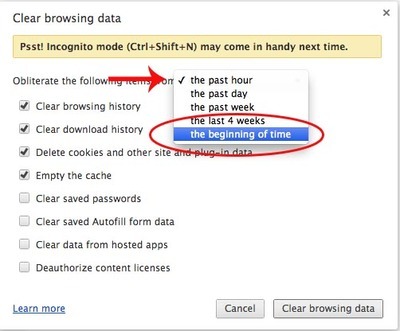 Now click on the Clear browsing data… button, located under the Privacy header. This will open a pop-up box. In the pop-up box, click the drop-down box that says the past hour and change it to The beginning of time. 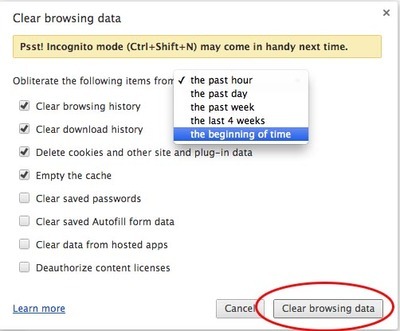 TIP: Uncheck Clear browsing history unless you want Chrome to no longer auto-propagate the web address of sites you have visited in the past. Click on Clear browsing data. If you have a lot of cookies, this may take a while. Once complete, the pop-up box will close and the process is complete.